Graham Crackers - That Vegan Dude! 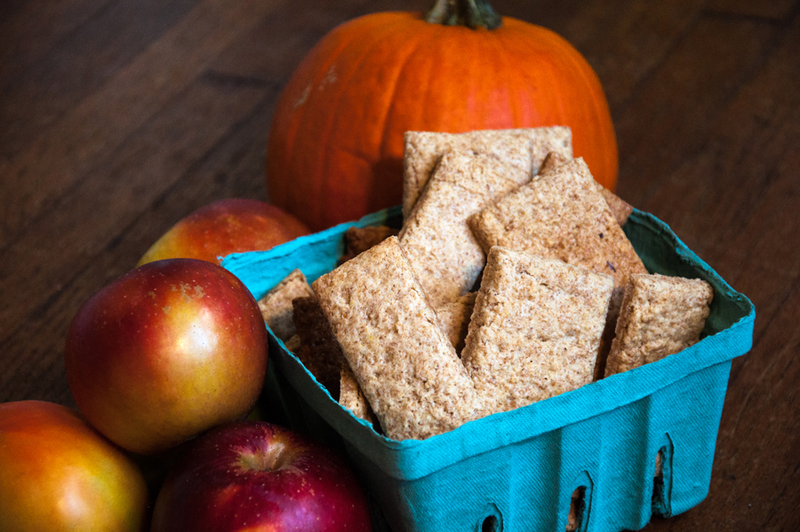 It’s Thanksgiving and you’re making crazy decisions like making homemade graham crackers at the last minute, right? Of course. My version here is based on a recipe from King Arthur Flour. I’d implore you to take a look at their recipe for cooking & rolling tips. I decided to weigh my ingredients (I’ve been doing that more lately) and used a flax egg. Otherwise this is pretty basic. If you want volume measurements check their site. If you’re into judging food by its weight then follow along. Mix the flax & 25g water together. Whisk until cohesive, set aside in the fridge. Mix all the wet ingredients including the flax egg. Add the wet ingredients to the dry and combine until you have a cohesive dough. - Roll the dough in between two lightly greased sheets of wax paper or parchment paper. - Try to keep an even thickness and get it down to about 1/16 of an inch. - If using wax paper transfer the dough directly to the greased baking sheet. If using parchment paper just pull off the top layer and lay the dough/paper on the baking sheet. Bake at 300º F for 10 minutes, remove, score with a knife/pizza roller/dough scraper but DO NOT pull apart. Return to the oven for about 22 minutes. Turn off the oven and open the door for 5 minutes. Then close the door and allow the oven to completely cool.